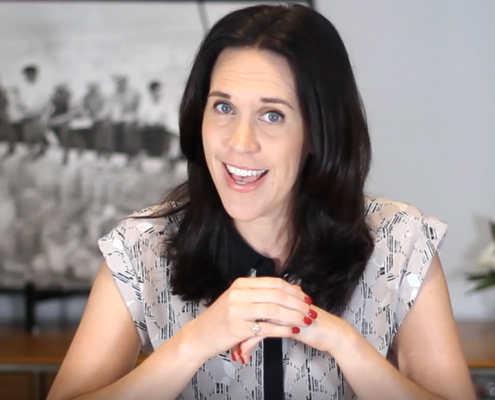 This is the 2nd post in a 3-part series for Directors on their role in the boardroom to govern and lead mentally healthy workplaces. 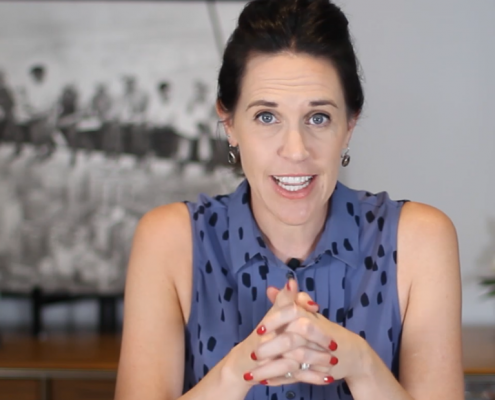 This is Part 2 in a 3-part series for Directors on their role in the boardroom to govern and lead mentally healthy workplaces. In Part 1 of this 3-part series, #8 Investing in Mental Health is a Healthy Investment: ROI, I provided an overview of ‘what is mental health’ and the importance of acknowledging it as a positive concept (i.e. our mental health exists on a continuum from positive, healthy functioning at one end through to severe symptoms of mental ill-health at the other. A person’s mental health moves back and forth along this range during their lifetime, in response to different stressors and circumstances). More than 80% believed good workplace mental health is very important – fewer than one per cent believed it is unimportant. They recognised the consequences are significant, with poor quality of work, poor decision making, conflict between colleagues and higher staff turnover all cited as negative outcomes as a result of poor mental health within an organisation. However, it can be difficult to know everything that needs to be covered in order to lead a mentally healthy workplace from the boardroom. There is a vast amount of information available to you and no doubt you continually hear about the importance of mental health and the significant impacts of mental ill-health on your workforce and community. This can make it difficult to filter through all the noise and clearly understand what the board can do from a governance and leadership perspective. 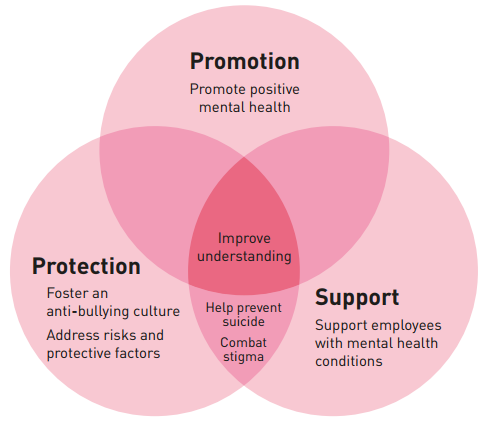 Therefore, this post is focused on extracting the three areas you should focus on when you’re defining what a mentally healthy workplace looks like: protection, promotion and support. While the IoD survey indicated there is no doubt that their members know mental health is important to their business, the survey also found that more needs to be done to ensure that mental health policies and procedures are embedded across organisations. 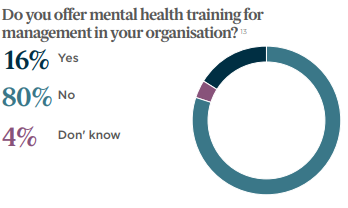 When asked whether members offer mental health training for management, a surprising four in five did not. A 2016 Managing Mental Health in the Workplace survey, conducted by the Australian arm of employment lawyers MinterEllison, found that only 38% of respondents have discussed staff mental health issues even once at the board level. The survey also suggested that a majority of organisations are making little or no investment in mental health and wellbeing programs even though these can have a dramatic effect on the bottom line (see my first post in this 3-part series #8 Investing in Mental Health is a Healthy Investment – Part 1: ROI). He proposed that business leaders get a better understanding of the nature of the problem and communicate and implement what is required. In a survey conducted in 2017 by SuperFriend, of 5000 people, from business owners, managers and employees in small, medium and large organisations from different industries across Australia, it was found that 1 in 2 workers were not aware of any workplace mental health and wellbeing policies in place at their workplace. Additionally, only 1 in 6 workers believed the mental and wellbeing policies at their workplace were being implemented effectively. As outlined by Heads Up and beyondblue, your approach to mental health should be focussed in three areas: promotion, protection, and support. Simply put, your efforts into providing a mentally healthy workplace should fall under these three categories. We know the overarching responsibility of the board is the overall governance, management and strategic direction of the organisation, but what does this look like when applying this workplace mental health? 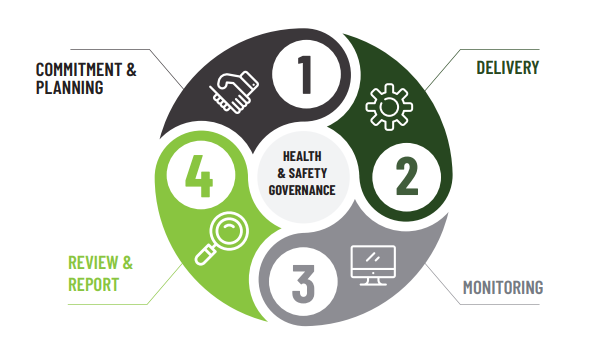 I’ve taken the Plan-Protect-Support model and applied it to my 4-part framework for directors in applying health & safety governance and leadership in the boardroom. In doing so, I’ve curated a selection of research on better practice approaches to establishing and maintaining a mentally healthy workplace that will assist you in leading the governance of mental health in the boardroom. Ensure your indicators will assist in measuring your ROI and improvement. Analyse your data for trends, changes and gaps. Compare the data to original findings – what’s changed and by how much? Be open to amending the strategy where needed. What does your board do to lead governance of mental health?